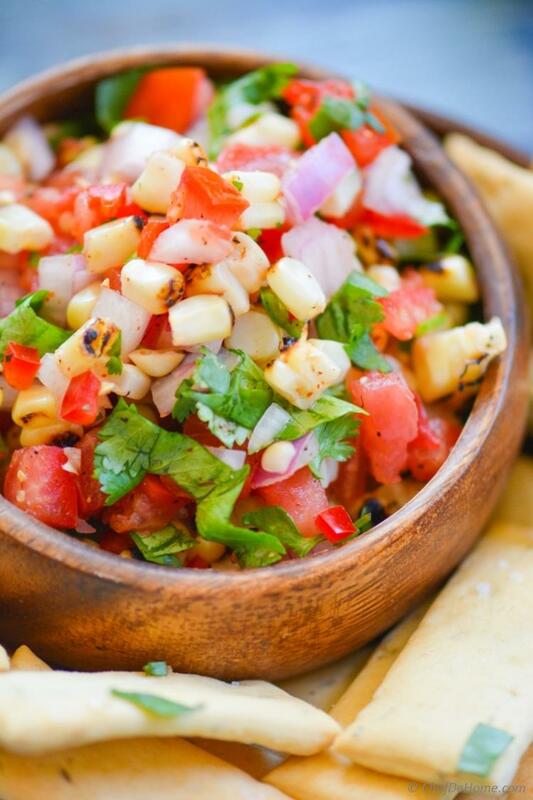 Chipotle Grill's Chili Lime Corn Salsa with a spicy twist! Caution! 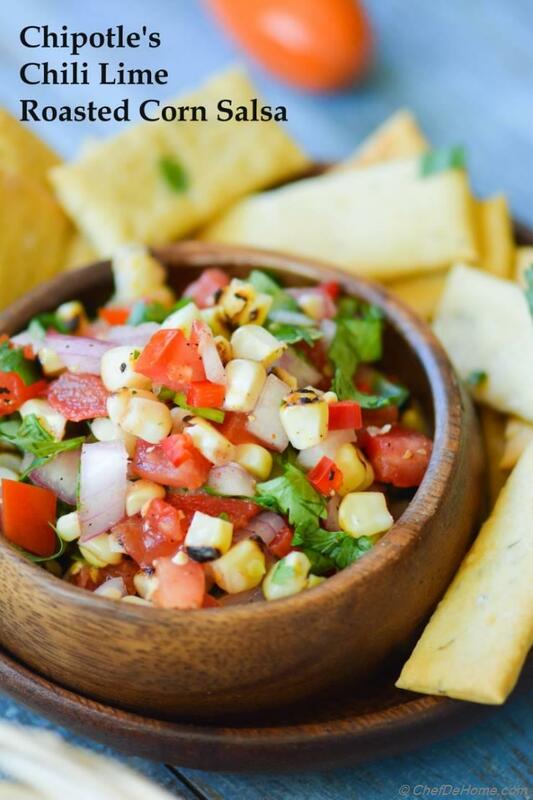 This Chili Lime Corn Salsa is so addictive, your chips bowl will be empty much before you think it would. My take on Chipotle's Chili Lime Corn Salsa has sweetness and deep corn flavor from roasted sweet corn and three kinds of chilies for extra kick. 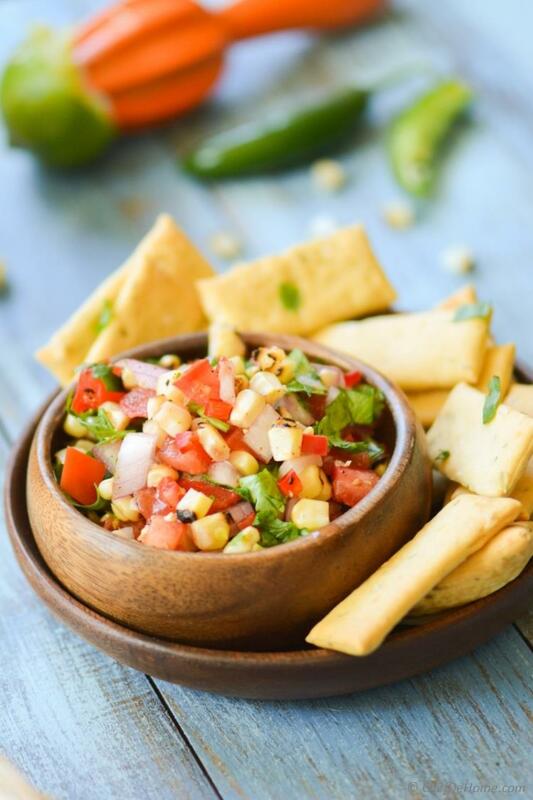 Lime juice and red wine vinegar balance the sweet-hot flavors and make this salsa tongue tantalizing. I have also added a tomato, however use of tomato in this salsa is totally optional. We both love tomatoes so much that it has to be there in salsa and salads. Plus fresh tomatoes are so abundant in farmer's market in August (specially) that our every day food have to have tomatoes one way or the other! Salsa and chips is like a Saturday evening tradition in my home. 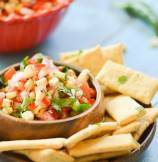 We both love snacking on a big bowl of salsa with homemade or blue corn tortilla chips. Later, have grilled dinner and call it a day. After super busy weekdays, easy food on weekends (at least on Saturday!) is great relief. 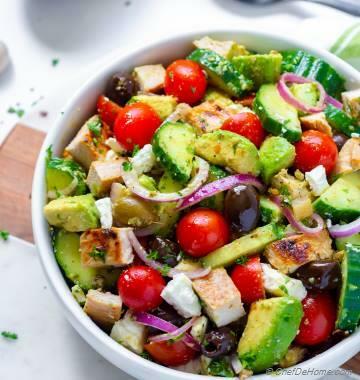 Often, I chop and mix salsa, marinate chicken Saturday morning while making breakfast, then noon disappears in grocery shopping or running errands but for the evening, at-least food is almost ready to serve. I am a huge fan of Chipotle Mexican Grill fast-food chain. Recently. I watched a documentary about concept and food ethics of Mexican Grill. I am amazed to know that this fast food joint is bringing amazing difference to fast-food community. Their "fast food" is actually fresh food prepared fast and in front of your eyes. 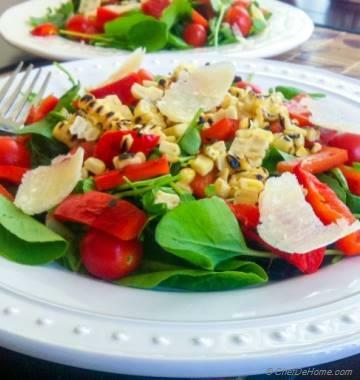 Not just prepared in front of your eyes, but they only use organic, farm raised and locally grown products. Founder of Chipotle Mexican Grill, Steve Ells, focuses on serving 'food with integrity' in the ingredients. Amazing! Chiptole Grill's Chili Lime Corn Salsa is my favorite whenever I visit to eat my other favorite Tofu Sofritas. Though, no matter how much I love dinning at Chipotle Mexican Grill, I still fan of cooking all I love, at home! 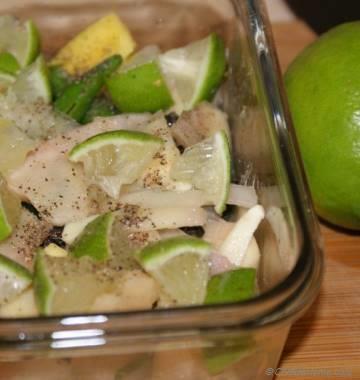 You know my love for sofritas and sofritas recipes I have shared with you in past one year. And I know you have loved all three recipes. So thanks for all those emails, comments and likes! Recently, I thought, I am not just chipotle sofrita's fan! I love many other foods in Chiptole Mexican Grill. Like cilantro rice, chili lime corn salsa, roasted green salsa, and their spicy chicken too. I have decided to cook these chipotle specialties and will share recipes with you in coming days. How about a Chipotle Mexican Grill inspired feast at home? 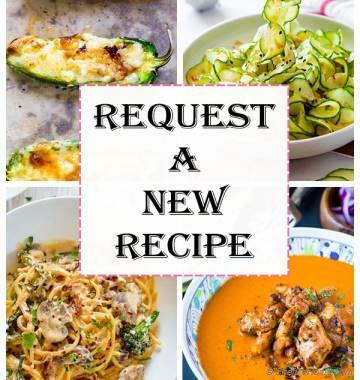 You already have my sofritas recipes (listing again for you) and list will grow as I add more recipes. Mark this page, I will keep updating recipes here! I am even going to add a Homemade Flour Tortillas Recipe soon for you all! So, keep an eye! 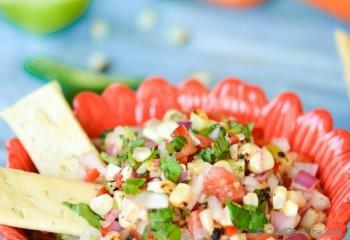 5) Chili Lime Corn Salsa - You are reading this recipe! 11) You tell me! What else recipe you want me to cook and test fr you! Enjoy and Happy Cooking Chipotle Mexican Grill Feast at home! 1. 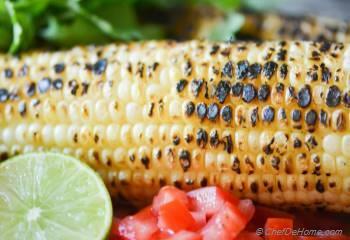 Grill or Roast the corn on an open flame until blistered and has charred marks at various places. 2. Remove the kernels from corn and set aside to cool down. In meantime, slice and chop onion, tomato, peppers, and cilantro, add to a large bowl. 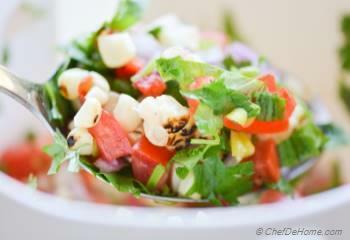 Mix in corn kernels, lime juice, red wine vinegar. Season with salt and pepper as per taste. 3. Chill salsa in refrigerator for few hours. This will also marry the flavor of lime, and chilies into corn. Serve at room temperature or chilled with chips of your choice. Kevin, thanks for stopping by! 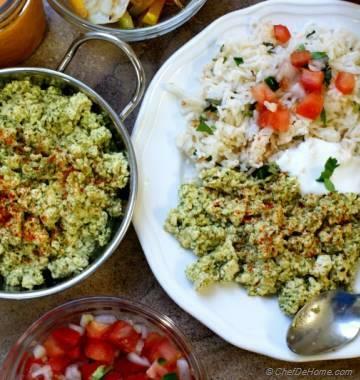 Savita, I love chipotle's chili lime corn salsa! I have to try this recipe.